Industrial forestry practices are a perennial issue in Nova Scotia - and with good reason. Widespread clearcutting , herbicide spraying, biomass harvesting, loss of old forests and the related decline of forest dependent wildlife species. And it’s getting worse, not better. On April 27, 2017, three days before the provincial election was called, the current government put forward its proposed budget. In it they committed to appoint an independent review of forestry practices in Nova Scotia. Harvesting practices are poor and unacceptable to the public and must be changed by improving regulations, in particular, by significantly reducing the amount of clearcutting. Stakeholders besides industry need to be included in actual decision making for Crown land management. 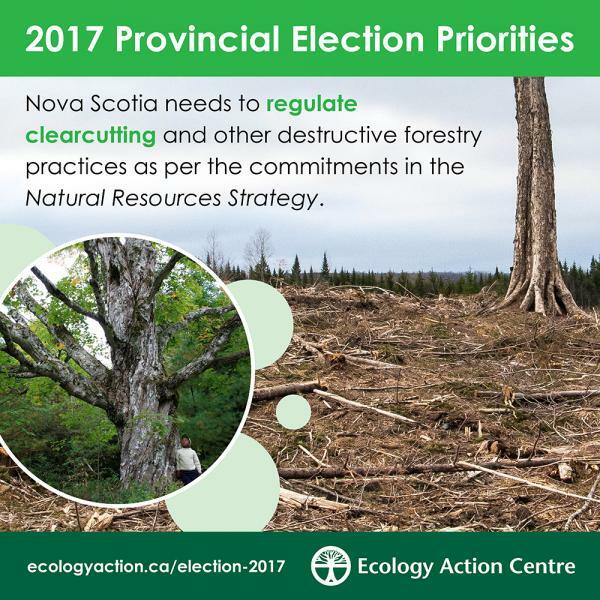 The Natural Resources Strategy promised to reduce clearcutting to no more than 50% within five years and to involve all interested stakeholders in Crown land use decision making. Five years later, clearcutting is at 89% and climbing and non-industry stakeholders remain steadfastly frozen out of decision-making processes for Crown land by the recalcitrant bureaucracy at the Department of Natural Resources (DNR). No, we don't need another review of forestry practices in Nova Scotia. We just need a government with the backbone to implement the policies and regulations already promised to them through a highly-credible, independent public policy review process - the Natural Resources Strategy. The Phase One report said "Nova Scotians made it clear that change must happen . . . and happen soon.” And the Phase Two Steering Panel concluded “the status quo is not an option. Unless there is change, Nova Scotia's natural resources will continue to be destroyed." Governments always promise to “balance” environmental and economic interests. And that’s exactly what Nova Scotia’s government did – it went right down the middle by committing to reduce clearcutting to 50% within five years (by 2016). And then they didn’t do it. Today clearcutting rates are 89% of all harvesting and heading upward. They are way off track. And that is completely unacceptable. 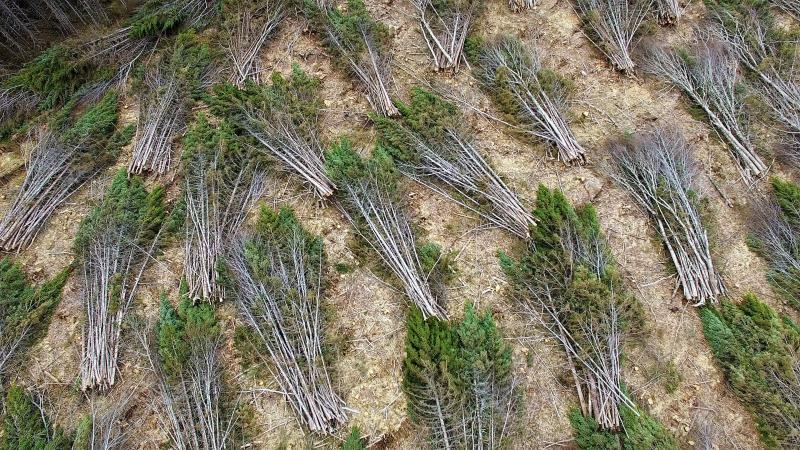 Nova Scotians are sick of all the clearcutting. Nova Scotians are tired of all the herbicide spraying… and the pollution, and the biomass harvesting. They want a government who will stand up for public land and public values. They want a government that will get back on track and implement all of the commitments of the Natural Resources Strategy. 1) What specifically will you do about reforming ecologically damaging and socially unacceptable forestry practices if elected to government? We encourage all Nova Scotians to ask the party leaders and their local candidates where they stand on this important issue during Election 2017. “Progressive” forest management: Do you think so?